Following the success of his last album ‘Splinter (Songs From A Broken Mind)’, GARY NUMAN is taking a different approach for his next long playing project. Using Pledge Music, fans are able to pre-order the album in a variety of formats while also having access to news, recording updates and opportunities to purchase personalised memorabilia. These items range from hand written lyric sheets and signed event wrist bands to instruments that have been used on Numan’s previous recordings; a signed Gibson SG guitar has already been snapped-up. Pledge Music was launched in 2009 and has been successfully used by a number of notable acts such as IAMX, ERASURE, OMD, MARNIE, CHINA CRISIS, DE/VISION and FIFI RONG to connect to their fanbase during the realisation of a new project. The campaign acts as both a crowdfunding platform and a guided promotional tool. For me, it’s first of all trying to find an alternative way of releasing albums, at least in the early stages; secondly, it’s trying to involve the fans to connect to it a bit more. While I have been doing these Meet ‘N’ Greet things at the gigs, I’ve been talking to people about what they think and how they feel about records. It struck me was how fans, for all of their interest and knowledge, they’re not really aware of the emotional side and the struggles that you have to make an album. A lot of people think you go into a studio, write some songs and it’s not a big deal, some people do good ones while others are doing not so good ones. There was a childish thing in me that went “I wish you knew how difficult I find this!”… you’re not sleeping for months because you’re worried about it and these rollercoasters of fighting your own demons and confidence issues! I wanted people to be a little bit more aware of that. I went through the whole ‘Splinter’ process with distribution, label services and various things that you do as an independent artist and I’m trying to find better ways of doing that. It seemed to me, there are still a number of layers of business, even as an independent, between you and the fans. Each layer takes a percentage, and before you know it, the record stores or Apple are still making the bulk of the money. I was thinking, with all this social media and new web technology, there must be a better way of doing this. With each layer, there’s always an amount of dilution going on along the route. So Pledge Music gives you a more direct connection with the fan, it’s cutting out all these people in the middle as much as you can. And if fans were more aware of what went on with the album, I am hoping when they stick it on, they will feel more connected to it and part of the process. On the last album for example, ‘Here In The Black’ had 7 or 8 different choruses we tried, it wouldn’t work and we’d go back and start again until it became what it was… which strangely, was the first chorus we ever did for it! So I thought it would be great if fans could have seen that and the anguish we went through to get that song to work. For me as a fan of other people, I would love to be aware of all that. Yes! Chris lived with us until he started the ‘Metanoia’ tour so every night, we’d be out in the garden talking about a thousand and one things, and one of those things was Pledge. It was Chris’ enthusiasm for it that really did swing me with Pledge rather than anybody else and to go that way at all. IAMX have done it brilliantly and Chris was really helpful in things to avoid or be careful of, because it’s very easy to be caught up in the enthusiasm of it and proffering all kinds of things that in a year’s time, you’re going to wish you’d never done. There’s a bit of a misunderstanding with Pledge Music, it’s seen by some people as crowdfunding, which it is partly, but there’s a lot of us who are using it for different purposes. I’m not crowdfunding as such, I can make an album without that. I have to say Pledge themselves are amazing, you couldn’t wish to be dealing with a more efficient and professional company who are genuinely enthusiastic about music. And also, they genuinely do care about the people who Pledge. It’s been a fantastic experience, I’ve got to say. It’s working very well for me. …that’s what it’s all about isn’t it??? EXACTLY! He was moaning about the very thing it’s meant to be there for! But 99% are raving about it. It’s got a long way to go yet but hopefully, we can continue to run it in a way that the fans enjoy and it continues to work for me. I guess Pledge allows you to target those who are interested during the recording, rather than having it hang wholly in that random fashion that traditional promotion dictates when the album is released? Absolutely! You can spend a great deal of money taking up ads here, there and everywhere, and if 1 in 100 are even interested, you’re doing well. And if 1 in 100 of those actually bother to listen to the record, then you’re doing REALLY well! Your return for the amount of money you spend is very poor to be honest. Even before Pledge and people like that came along, a lot of people were beginning to abandon conventional promotion and thinking of other ways of trying to go about it. Social media has been amazing for that. But people like Pledge have seen a real need for targeted promotion, and it really does work. The amount of money I’ve spent on promoting Pledge is a tiny fraction of what I would have spent normally, and yet I’m getting perhaps one hundred times the return in terms of actually reaching the people who are interested, than what I would have done with conventional promotion. What can those who have not yet Pledged, but are interested in doing so, expect if they come aboard? The problem is I’ve been managing myself in the last 6-7 months, and it’s a huge amount of work to do. I’ve never done it before, so it’s been a very steep learning curve. I’ve got a number of other things happening as well like a new live album and DVD coming out, a triple boxed set of stuff and some classic album shows, plus 5 or 6 collaboration projects that have happened in the last few months. The studio has been really busy, but only some of it has been with the new album. It’s the way life works out sometimes! So I try to edit those moments when something IS happening, put that together with a little bit of talking to explain what’s going on and release that as a Pledge update. Sometimes they’re short, but sometimes they’re a bit longer. That side of it will get better once I can really get stuck in. I want to do a decent length update once a week. I want people to see it isn’t easy and see me get upset, having a f***ing tantrum because it’s just not coming together, because it happens all the time! I want them to see me depressed because I haven’t had a good idea for 2 weeks and that I’m scared I might not find something. Yes, some of them can do! And then, the others start defending you and this thing which is meant to be an enjoyable process becomes this horrible fight. I’m really disappointed about that side of it. I really did hope, and it’s a childish hope, this would be nicer, but you just can’t get away from it. I swear blind, if you put something out to 5 of your best fans, one of them would kick up and the other 4 would start at them, and before you know it, you’re sitting on the corner listening to these 5 people arguing about you. That’s what this is like a bit! I hope things flare-up very rarely, but I think it’s just a part of dealing with people. There are fans out there who really do think they know what I should be doing, and really think they could have done it better. And there are others who think the sun shines out of my ar*e and nobody can say anything bad about me! I’d like to lose both ends of that if possible because they’re both wrong. In the middle are your more rational people that simply enjoy listening to the process and think that I’m alright but not perfect… and I’m absolutely cool with all that, because that’s the truth of it. I hope that the people who are negative will drop out along the way, so those who are overly positive won’t need to say anything and we’ll have this more reasonable enjoyable process left in the middle. Oh, I got slagged for that, with people saying I was asking for too much money! No I’m not! These are very rare things for the simple fact that they’ve been used by me! Some of them are just rare because they are! These are very important instruments as far as musical history is concerned. People actually forget this is how I earn a living, from selling things to people that like what I do. Some fans seem to see that as the mark of Satan. I sell music, I sell tickets, I only sell things to people that want them and who are interested in them because of who I am. I have become a person of interest to a small number of people and that’s how I earn my living. It’s not mercenary or ruthless in any way at all. I do try to find things that I think fans would love. I do it from a very simple point of view… I am a fan of other people. As a kid, I was a massive fan of T-REX and various people over the years, so if I could have MARC BOLAN’s jacket or his guitar strap or his watch, anything, I would have bent over backwards because I would have loved it. My wife is a massive Marilyn Monroe fan and I was looking at trying to buy her a Marilyn Monroe autograph. You can get them, they’re a couple of grand but they’re out there and they’re verified. Now I don’t think £2000-£3000 for a Marilyn Monroe autograph is that big a deal when it would mean the world to my wife; if you are a fan of someone special like that, these things are worth a lot of money but they make people very happy. People want these things. All I’m doing is that, but at a much, much lower level. Yeah, I have had so many synths over the years! The thing that upsets me a little bit is there are people out there who would have loved to have had them. I got a mate to dump a load in a shop and I got like £500 for the lot. I was silly, because I could have done a load better out of it personally and they then went out to people who didn’t know their history… I had famous people come round my house and play them! How mad is that? All these fans out there who’d have loved to have had these synths and they didn’t get the chance to have them. I gave them away which was stupid of me. I found the System 100 and a Yamaha CS5 at my dad’s house because he had a clear out. He found all this stuff and I’d forgotten I’d had them, these must have been stuck up in his loft. These were really important synths. Is there anything else being planned as part of the Pledge campaign? You’ve always had working titles for your albums, is there one you can reveal? I always have a working title, ‘Splinter’ was a working title but it took me so long to make the album, it seemed crazy to call it anything else. But it’s completely the opposite for this one, I went into it with no working title at all. Because I knew I was going to be doing the Pledge campaign, I really did keep everything as a blank canvas. The result of that, which I hadn’t thought about is the time I would normally start an album, I would normally have done some preparation work. So I’m probably a couple of months behind if that makes any sense. I’m on the backfoot a little bit. Have you decided a musical direction yet? I haven’t decided but I think we’re looking ‘Splinter’-ish. I’m not going to be working with Ade Fenton on it, he’s done the last three albums with me but I do feel the need to move it slightly. But having said that, I want it to be heavy, I want it to be electronic, I want it to be dark and aggressive in places… so that’s just described ‘Splinter’! I do want that again but with a different feel to it somehow, either by doing it on my own or with someone else, I don’t know. By doing that, I’ll be able to evolve the sound. Are these collaborations helping you get things out of your system or making you think out of the box at all? Yes, I done JOHN FOXX and JEAN-MICHEL JARRE, a Mexican band called TITAN, I did a thing for VOWWS which is now out. There’s been a few and they’ve all sort of come at once. The JOHN FOXX one was really interesting, that definitely challenged me. You’ve been seen a lot with JEAN-MICHEL JARRE, how is your collaboration coming along? It’s all done, it sounds like a really cool JEAN-MICHEL JARRE track with me singing; I did a bit more than that, I did a little bit to the music but it’s very much Jean-Michel’s thing. He is lovely, he is one of the nicest people I’ve ever met in my entire life. He’s really interesting, to just sit down and hear his fascinating and brilliantly funny anecdotes. He’s really charming and obsessed about music still. He’s very creative and up-to-speed about the latest technology, he knows everything about every band out there, new and old. He’s an amazing man. 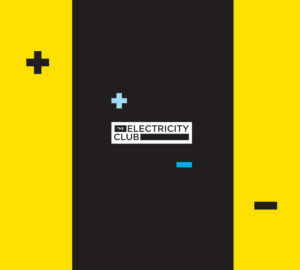 I’m really proud to be part of his ‘Electronica’ project and so glad he got me involved. He wrote all these songs with people in mind and did a song he thought would be suitable for me. It’s an epic thing. Is collaboration more straightforward these days than say, when you first did it with Robert Palmer or Bill Sharpe? More recently, I’ve found I’m doing a lot more. I really enjoy them and they’re a good thing to do but it does get in the way of my own work, I don’t mean to be rude by saying that. I really do need to just concentrate on my own thing for a while. If you do too many, it’s a bit “what album are you going to pop up on this week?”, it’s no longer an event. I’m not the most confident artist in the world, and my ability to contribute something meaningful to these tracks, I do worry about it and find it a bit stressful. The JOHN FOXX one, I was on that for a while before I could really get my head around what was going to work in my opinion. I was worried about letting him down. So all these other non-musical worries came to mind, although I do find them less stressful than I used to. Does working remotely help these days bearing in mind how you said you felt awkward being with people when you were younger? It is a bit better than having to sing in front of somebody or try to come up with something creative while they’re sitting right next to you. As I said before, work in the studio can be many, many hours of not getting it right, until you do get it right. If you’re sitting next to somebody, you don’t want all that failed experimentation to be witnessed. You want to do that in private and present your finished idea to them. The line “Mr Webb, there is no way out” from ‘Listen to The Sirens’ on the ‘Tubeway Army’ album seems to have rung true as far as your early work is concerned. Have the recent three night residencies of ‘Replicas’, ‘The Pleasure Principle’ and ‘Telekon’ finally helped you come to terms with your past? It’s something I tried to keep buried or at arm’s length… I’ve had a very uneasy relationship with my back catalogue over the years. The thing that’s changed is when ‘Splinter’ came out, it had such a good reaction and most importantly, people started to talk about it as one of the best things I’d ever done. I felt with that, I’d come out of the shadow that my early success had created for me. I don’t think I’d ever felt I’d truly done that before. It was a massive thing for me and I think a lot of my resentment was me trying to find ways of coming out of that shadow. I didn’t like doing much old stuff live, I would only rarely do anything that was remotely retro and only then because of the tremendous amount of pressure from fans. In a way, I panicked a little bit that I was beginning to lost too many people, because I wouldn’t play old stuff. So in 2006, I begrudgingly did a tour of ‘Telekon’ just in Britain, nowhere else; that was my concession. I did a little bit more with ‘The Pleasure Principle’ in 2009 when it was the 30th anniversary and ended up doing that in America and Australia as well as Britain. But the reaction to ‘Splinter’ made me feel different about the older stuff and at that point, I felt as if I was able to look back at that early stuff and actually enjoy the credibility that it has. The fact that people think of those albums as being classics and credit them as starting this whole electronic thing; I wrote them so realistically, I should be proud of them. I really should but I never had been, but I learnt to be proud of them and approach them with a different attitude because of ‘Splinter’. Any thoughts about the sad passing of DAVID BOWIE? It was a real shock, I was reading the BBC news app when it came on. I ran downstairs to my wife and I was out of breath, a proper shock. I think it takes time to sink in. I’ve been watching the outpouring of grief and commentary. It’s very touching to see how he was felt by people, but I think the reason it resonates so deeply is as much because he’s an icon of an era. Whether you were a fan of him or not, he has been a part of your life… there are a few people like this. But there are certain people when they die, it resonates so deeply because it brings home to you you’re dying, we’re all dying.